Hi, Nicholas! Can you please tell The Big Smoke a little about your background prior to launching Political Tours? Was there one catalyst that caused you to think “Now is the time to launch”? The idea had been brewing in mind for some time – particularly as family and friends came to visit me either in Kosovo or Slovenia, both where I lived for a period of five years in each. But there is one moment that stands out. I had a long drive (900k) from Slovenia to Kosovo to do shortly before Kosovo was expected to declare independence and I picked up a hitchhiker to share the drive. He was a Californian animator who wanted to go to Dubrovnik, the famous Croatian port on the Adriatic. I convinced him that Pristina (arguably the ugliest capital in the Balkans, although Skopje comes close) was the place to go. He followed me around as I did my job for three days and was gripped. So that helped to solidify it. Here was someone with no apparent interest in politics that was enthralled by the experience of travelling with a reporter. It brought the place to life in a way he could never have imagined. What do you think it is about this current political climate that has so many people wanting to be more actively involved in understanding the complexities of political systems around the world? Our aim is to give people access to and understanding of the major issues in the news today. We draw the line at going anywhere that would endanger our customers, so no war zones; Syria, Iraq, and Afghanistan are out. There are always going to be major topics to cover. We go to North Korea at least twice a year. We’ve been looking at Putin’s grip on power in Russia for some time, and we even run tours in Ukraine (albeit from a very safe distance from the fighting in the south east). This year our top selling tours are to the US elections. So it is a broad range of stories and places that we cover. Having said all of that, there’s no doubt the world is going through a major political shift at the moment. I think this is in large part in reaction to globalisation and the web, which has upset traditional social and economic bonds. This has led to the growth of more radical political movements in the West, and popular uprisings in the Middle East. It would seem incredible that the most advanced economies of the west could be shaken by this, but Brexit and Donald Trump have shown otherwise. We have tours looking at all of this – Brexit, the US elections, and the rise of populism in the West. Our customers want to do more than sit on the sofa and read about it or watch it on TV. They are inquisitive, broadminded and keen to learn for themselves. It sounds like a clichéd mantra but they really do want to “travel beyond the headlines”, which is our strapline. How do you determine the schedule of a political tour? Forget any idea you might have about group tours. We don’t follow the model of piling people onto a bus with an expert who then drags them around various places giving them his or her spiel. The best way to think about it is like creating a documentary film with the customers holding the camera. We chose locations that tell a story, you meet with real people, and a range of experts, politicians and analysts (at least 30 on any one tour) that you can question. Our groups are small as well. You can’t take a group of 20 people into a family’s home and talk to them about their lives, so our numbers are kept small, typically about 8-12 people. And most people who come on our tours would normally travel by themselves and not with a group. They choose to come with us because we can give them access they would not have otherwise. Why do you think people should go on at least one political tour in their lifetime? The tours are challenging, and make you think about a place in ways you’d never expect. How is it possible that the Kims have stayed in power in North Korea for so long? What support to they have at home? Why on earth did Britain vote to leave the EU with so much of its economy likely to be affected for the worse? We look at all these questions, and I think people find that very rewarding, even in places as shocking as North Korea. As a result we’ve got a loyal group of customers now who come back again and again to travel with us. The challenge for us is finding them new places to go to. What is your funniest moment and what has been a scariest moment so far on a political tour? There’s always something funny on each tour. When we were in Odesssa, Ukraine we met a group of businessmen who were bemoaning the high levels of corruption in the country. “What we need is the good corruption,” said one of them as the others nodded in agreement. Therein lies the problem we all thought. In the West Bank near Jerusalem one customer (who’s also a good friend) asked the restaurant to turn the music down. They looked blank and the rest of us burst out laughing. It was the sound of the local mosque and the call to prayer. Scary? Most of the places we go to are very safe, as our trips are planned to avoid any scary moments! But I think watching the Victory Day parade in Moscow in May was pretty scary, and a reminder of how willing Russia is to project its military power. We watched thousands of people cheering as the large missile careers drove by. They included the same BUK missile system that Dutch investigators say shot down the Malaysian airline flight over Ukraine. Political Tours does more than travel, you also work alongside businesses that want to understand economic trends in new markets; how do you approach that angle of the business? We do have quite a few customers who use us for business and this is something we are developing further. We have very good political and business access throughout the world so quite a few use us to gauge what is happening in a new market. Typically these trips only last two-to-three days and are tightly packed, and tailor-made to suit the clients’ interests (banking, security, commerce etc). The destinations are as varied as Europe, the Baltics, Balkans, China and the US. What is the one similarity in terms reaction of clients across all your tours so far? I think the most common reaction is that it has changed the way they think about a particular place or issue. And frequently they say it’s been on of the best weeks of their lives. And that’s pretty nice to hear for a travel company. Who has been the most exciting person you have worked with so far on Political Tours? That’s a tough question. We meet a lot of interesting people. Just this last week we’ve had a tour in South Africa that included meetings with Thabo Mbeki and Denis Goldberg, who was imprisoned with Nelson Mandela. In terms of people who actually work with us, Professor Rüdiger Frank, our North Korean expert, is wonderful – someone who knows how to bring a place as tricky as North Korea to life while explaining all its dark sides. Peter Sullivan, a former South African newspaper editor who leads our tours there is hilarious and charming. 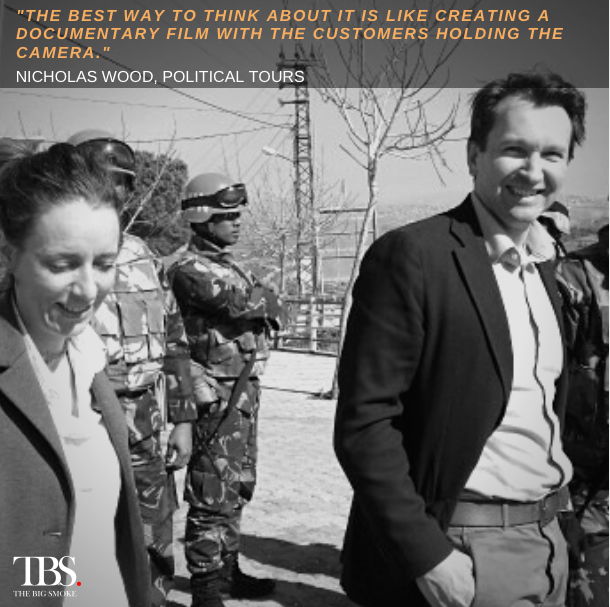 We’re also running a tour in Lebanon next year with Nick Blandford, a widely renowned expert on Hezbollah and the region. 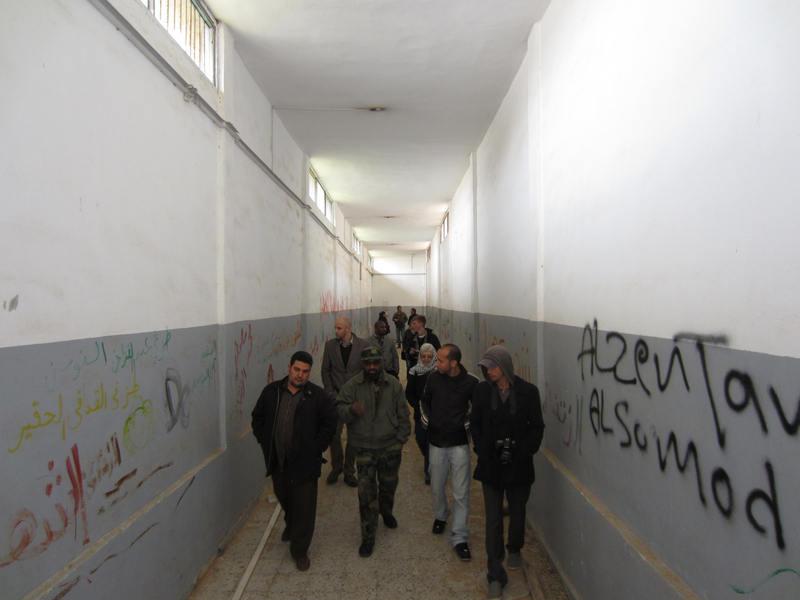 We travelled with him in February to Baalbek and met leaders of the movement battling ISIS just 10 kilometres away. And finally, what advice would you give to any other founder approaching their first major venture? I think I had a great idea, but it’s taken us a very long time to establish our market. (I also came from outside the travel industry.) So I guess I’d say don’t be afraid of seeking as much advice about the market before you start. Look for people who can make up for your own gaps in knowledge or weaknesses. When we were a startup I found it really useful to be in a business centre with lots of other small ventures. Everything from web designers, bookkeeping, and marketing/PR was all on hand. US Elections: Book now – will it be Trump or Clinton in the White House? 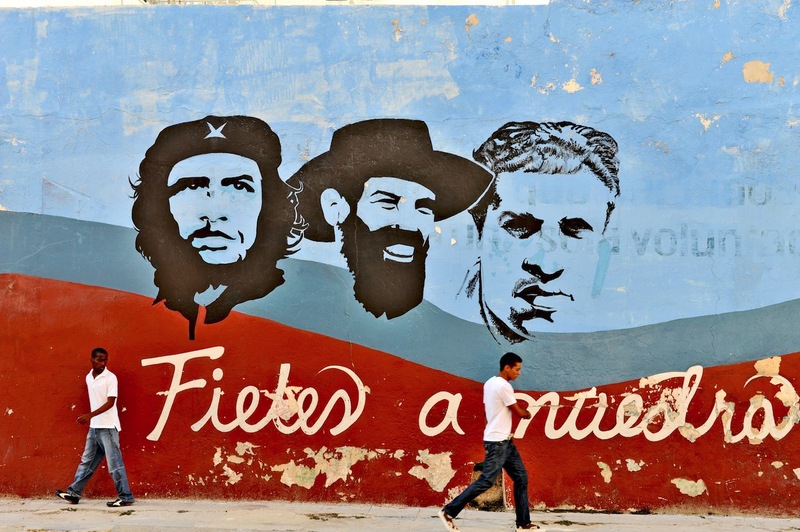 Cuba Tours: Cuba is on the cusp of dramatic change. See it first-hand.